Real Estate information for the Jeremy Ranch area of Park City, Utah for the first half of 2015. The Jeremy Ranch area of Park City is the sunny side of the highway across from Pinebrook. The neighborhood surrounds the private Jeremy Ranch Golf and Country Club golf course. Jeremys northern open space boarder is a great elk habitat and a number of hiking and biking trails accent the area. The local elementary school is considered one of the best in the state and the proximity to Salt Lake City and Park City makes this a very desirable community. Real estate in Jeremy Ranch is experiencing similar market pressures as seen in other Park City communities; high buyer demand with relatively low inventory for sale. 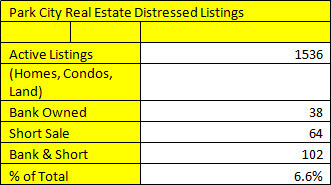 On June 10, 2015 there were 30 single family homes and no condominiums for sale in Jeremy Ranch. The last six months has seen 19 home sales and 11 condominium sales. Single family home sales are the same as a year ago but the median price of the homes sold has risen nearly 30% to $875,000. Condominium sales nearly doubled from the same period last year, but the median sales price has only risen by 15%. This mirrors most of Park City as recent sales prices for single family homes have risen more than condominium sales prices. A quick look at the pending sales shows that homes priced well are moving quickly. Of the ten current pending sales in Jeremy Ranch, six (60%) were on the market less than two weeks. Normally only 25% of active listings sell in the first three weeks, indicating that current buyer demand is strong. This strong demand for homes in Jeremy Ranch is great for Sellers but bad for Buyers. Working with the YouInParkCity.com Group at KW Park City Keller Williams Real Estate will give you an advantage whether you are Buying or Selling. Contact us to discuss the advantages of putting us on your side. 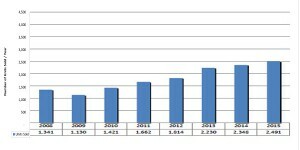 Posted in Park City Neighborhoods, market statistics | 0 Responses to "Jeremy Ranch Real Estate Park City 2015"
Whats that New Construction in Park City? The Park City Heights development has started work. 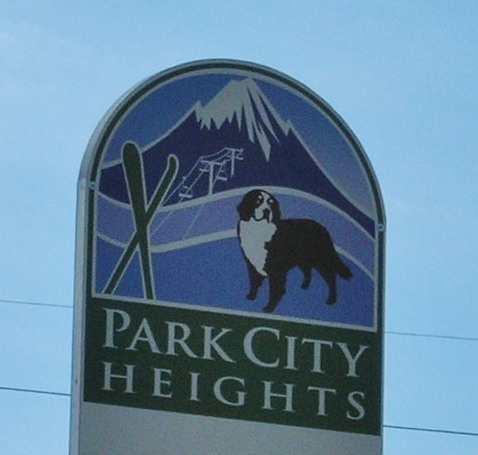 What is the Park City Heights Development? It is a Master Planned Development near the corner of Highway 40 and State Road 248. The Quinns Junction area commonly referred to as the back door into Park City, UT. The development when completed will cover 239 acres and have nearly 240 residences. The location is just behind the much disputed film studio that was approved earlier this year. Unlike the film studio, this master planned development worked with the city and has met all of their guidelines regarding density, impacts, etc. Because there arent any neighborhoods nearby, the public was largely silent during discussions about the new neighborhood. I expect that there will be more of an uproar now that the construction process has started and as the impacts become more visible. The original Master Plan was a collaboration between Park City and The Boyer Company (which is currently developing the Tech Center at the other entrance to Park City (Highway 80 and State Road 224). The construction of the development has since been transferred to Ivory Homes (one of Utahs largest builders). Ivory homes is known for entry level home communities throughout the state, but has also recently added some higher end product in the Red Ledges Community in Heber City just south of Park City, UT. Over 70% of the development will be open space. The community will have a 3000 community center/ club house as well as 15000 of community garden space. Trails, both paved and dirt will run through the community and connect to other trails in Park City. 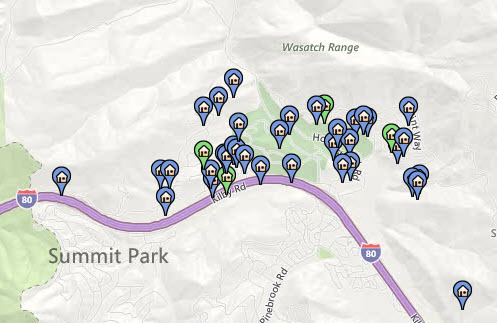 The Park City Heights community is slated for 160 market rate cottages and single family homes plus 28 deed restricted townhomes and 41 other deed restricted (affordable) units. Questions about the need or possible overbuilding of the deed restricted or workforce housing components of developments like this have been prevalent with the downturn in the economy. These 79 units will have the added benefit of being within the city limits. Future residents in the area will have great access to the Quinns Junction recreational amenities (Park Citys Ice Arena, soccer and ball fields, the dog park as well as Round Valley Trails and the Rail Trail. The area will though add traffic to the already congested roads in front of the Tri-school area on SR248. This new construction will also have effects on real estate sales and values in the Prospector area as well as the new construction developments in the Jordanelle area (Black Rock Ridge, Parks Edge, and the Retreat at Jordanelle). 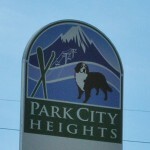 For more information about Park City Heights and its impacts on the Park City Real Estate Market contact a Park City Real Estate professional with YouInParkCity.com at (888)968-4672. Posted in Park City Real Estate Notes | 0 Responses to "Whats that New Construction in Park City?" The Empire Pass area of Park City, Utah's Deer Valley was launched in 2002 with the Ironwood Development. This began a new phase of luxury ski-in/ski-out homes and condominiums in Deer Valley. The developments at Empire Pass have been clustered close together in order to allow true ski-in/ski-out access and to preserve thousands of acres of open space around them. The density of condos and townhomes at the base of the Silver Strike, Northside and Empire Express chairs at Deer Valley does not necessarily give a feeling of scarcity, but a look at the sales and future development possibilities tells another story. Twelve developments have been completed in the Empire Pass area of Park City. Five of these developments have sold out. Another five of the developments are nearly 80% sold through. Two developments are in their early stages of sales; the Montage at Deer Valley and Belles at Empire Pass (14 Single Family Models still to be built). The majority of available units (less that 80 currently) are within the Montage. Once the current available inventory is sold, there are only 4 development entitlements left within the Empire Pass area of Deer Valley. 2010 saw 45 sales close in the Empire Pass area (17 sales in the Flagstaff development lead the way with 15 in Silver Strike). 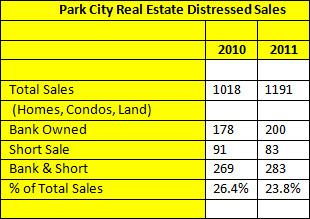 This number is enough to sell through the current inventory listed on the Park City MLS. And most Realtors® and developers feel that it was a poor year in terms of sales. Pricing in the Empire Pass area of Park City reflects the luxury nature of the amenity rich homes and condominiums. The scarcity of present and future development in the area as well as the finite supply of ski-in/ski-out properties in Park City and the world also impacts pricing here. The recent completion of the Montage Deer Valley while adding considerable inventory to the area also adds public amenities that the area was lacking. The new restaurant, spa and public spaces will add to the buzz around the area on a year around basis. The opportunities at the Montage also put the Empire Pass area of Deer Valley as a whole that much closer to being built out. The scarcity of future development in the area will only drive prices higher. 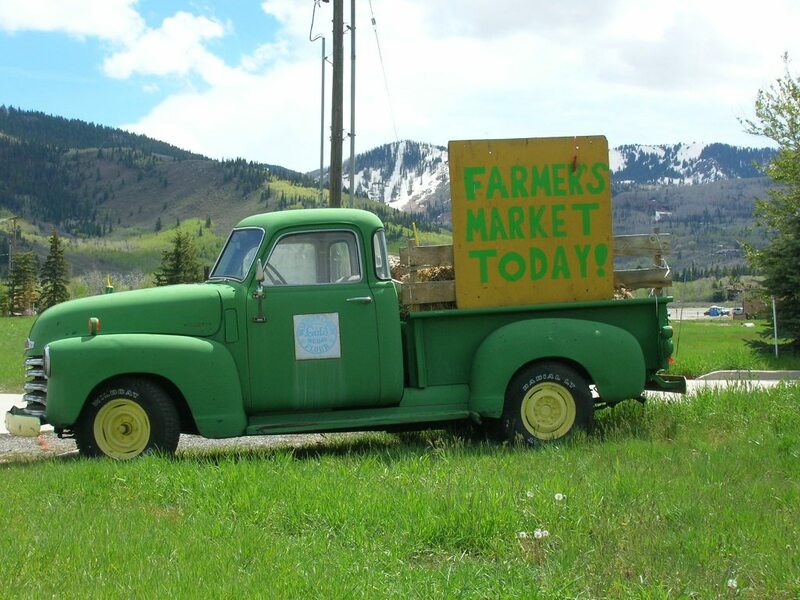 For more information on the Empire Pass area of Park City, UT contact a realty professional with YouInParkCity.com. Posted in buyers, Park City Economy, Park City Real Estate Notes, Park City value, sellers | 0 Responses to "Deer Valley, UT New Home Scarcity"
The Headline touts rental revenue, but what is "great revenue" in Park City, UT? Park City, UT is home to many second homes and vacation homes that are used infrequently by their absentee owners. Many of these homes and getaways are available as short term rentals for vacationers. Also, the majority of the hotels in Park City are condominium hotels meaning that each unit is separately owned and a rental management company is running the hotel amenities while sharing room revenues with the owners. Thus when a property is listed for sale in Park City, the subject of rental revenue opportunity is often mentioned, if not by the seller, then by the prospective buyer. Great rental revenue though is subjective. Will the purchase produce a positive cash flow? Will it be revenue neutral? 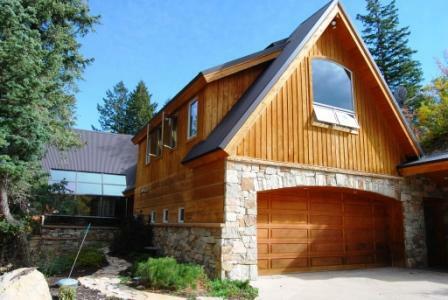 Or will the buyer be making monthly payments to own a little piece of Park City? The answer is, it all depends. I have a "rule of thumb" that generally holds true for nightly rentals in the Park City area. Enough revenue will be generated to cover taxes and HOA fees after the revenue split with the property manager. There are many variable in this simple equation: how much owner usage will there be and during what times? How well is the property marketed? What is the management split (in Park City it is usually around 50% for nightly rental property)? What amenities are available to the renters? Etc. etc. Recent price changes have made many of the revenue opportunities look stronger, but you must also consider that rental revenues have been falling along with condominium prices in Park City. A recent travel symposium speaker estimated that nightly rental prices will be off by 17% this year after falling 10% last year and 10% the year before, so while nightly lodging tallies which count room nights show increasing visitor nights, rental revenues are far from their peaks. 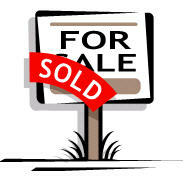 Buyers and Sellers should also note that added rooms in the Park City area bring more competition to fill each bed. Will the "great rental revenue" on the property you buy in Park City prove to be a good retirement scheme? I doubt it. Will it provide you with a great place to vacation, create family memories, and provide a drive to keep you working in hopes of retiring here? Definitely. I always say "purchase a home or condo in Park City for the lifestyle it can provide and the enjoyment it will bring you". Rarely does a property in Park City "pencil" when it comes to rental revenue. Note that I didn't say "never" and appreciation cures everything when it comes to investments. Besides, do you really want to stay in that great revenue producing storage facility you bought in Salt Lake City? Let the YouInParkCity.com Group assist you in finding a home or condominium in Park City, UT. Posted in buyers, Park City Economy, Park City Real Estate Notes | 0 Responses to "Great Rental Revenue"
The Escala Lodges at Canyons Resort in Park City, Utah is set to become the newest Hyatt ski property. Hyatt hotels, which manage ski properties in Beaver Creek, Co, Breckinridge, Co and the Lake Tahoe, CA areas will take over management of the Escala Lodges the week of Thanksgiving. With Canyons set to open for the 2010-2011 ski and snowboard season on Friday Nov. 26th, Hyatt joins the Waldorf Astoria, St. Regis, and Montage hotels as big name luxury brands in Park City, UT. While the Escala Lodge development is only 2 years old, the Hyatt has plans for renovations to meeting spaces and the completion of the restaurant and bar amenities at the condominium-hotel. Escala is located at Canyons main base area and is considered ski-in/ski-out via the Sunrise lift. Since completion, sales of the 85 condominiums which can be configured into 178 rooms have been slow. Only 30 individual units have been sold with most of those going to contract well before the project completion. Current offerings real estate at The Hyatt Escala Lodges range from one bedroom 680 square foot models at $550,000 to 2800 square foot 4 bedroom 5 bath models offered in the $2 million range. Sales of condominium-hotel developments in Park City have been tough since the change in the economy and products like these that have not adjusted prices are finding buyers to be increasingly scarce. The change to the Hyatt management may help future rental revenue, in turn making realty purchases at Escala a better investment. As with all Park City Real Estate opportunities, the YouInParkCity.com Group of Keller Williams Park City Real Estate encourages you to buy for the lifestyle that Park City has to offer. Consider Escala Lodges in terms of its slope-side location within a destination resort (Canyons, Park City) whose owners (Talisker) are spending over $50 million in upgrades this year coupled with the name recognition and service standards associated with the Hyatt name. For more information and assistance in purchasing real estate in Park City, UT contact a realty professional with YouInParkCity.com. Posted in buyers, Park City Economy, Park City Real Estate Notes, Park City Skiing | 0 Responses to "Escala Lodges to be Managed by Hyatt"
Posted in buyers, Park City Economy, Park City Real Estate Notes, sellers | 0 Responses to "Park City Real Estate Trends"
Posted in buyers, Park City Economy, Park City Real Estate Notes, Park City value, sellers | 0 Responses to "The Kimball Arts Festival"
As the summer heats up, Park City Utah Real Estate Prices have continued to fall. Outlying areas of Park City have been hit worst in terms of price depreciation with some areas seeing prices equivalent to those in 2001 and 2002. To give you a better feel for this, the largest increase in area prices happened in the 2004-2005 timeframe. There are now condominiums being offered at prices of over 50% off the peak sales prices of 2006-2007. Granted, these sale prices refer to bank owned and distressed sales, but that currently makes up about 10% of the Park City real estate market. Also, purchasing homes and condominiums at these fire-sale prices requires patience, quick response to new listings and most times cash (no financing contingencies allowed). 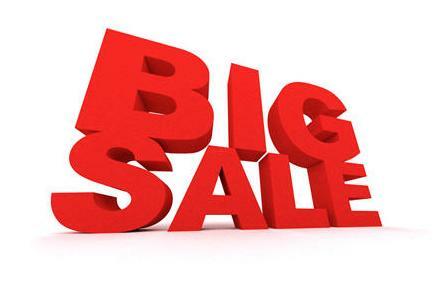 So the great deals are out of reach for many would be buyers. There is evidence that these aggressive sales prices by banks and distressed sellers is having an impact on the neighborhoods around them. Prices continue to fall in an effort to compete with nearby distressed property. This is especially true within the condominium market where there is less variation between units than in the single family home market (some local areas have shown a surprising strength and stability with very little downward pricing pressure). Stringent lending criteria and appraisals based on a falling marketplace is making the pool of qualified buyers smaller which adds to the downward pricing pressure. Strong value can be found in almost all areas of Park City and Deer Valley real estate and we are approaching pricing in outlying areas that may make investment with positive cash flow possible. As always, real estate is local and each segment of Park City and Deer Valley can be different. For assistance in finding the perfect home or condominium for you or to sell your current Park City, UT home; contact a professional with YouInparkCity.com at (888) 968-4672. Posted in buyers, Park City Economy, Park City Real Estate Notes, sellers | 0 Responses to "Park City On Sale!" For many people the name Sundance brings to mind a famous, high profile, independent film festival held each January in Park City. Crowds, traffic, famous and not-so-famous Hollywood types and paparazzi complete the idea of Sundance for these people. Sundance Resort is truly the opposite of the festival image. The Sundance Resort is located about 30 miles southwest of Park City, Utah, and a short drive northeast of the Provo/Orem area of Utah. It is a quiet area tucked up a canyon with a feeling that is miles away from city hustle and bustle. The area is known for its rustic charm and its owner Robert Redford. Redford stumbled across this place in the 1950s and purchased a cabin lot in Sundance in 1961. As development threatened to move into the area in the late 60s, Redford rallied friends and investors to purchase 3000 acres and stave off the development. What has resulted from these actions that started thirty years ago is an area of 6000 acres of which more than 5000 acres is part of an environmental easement and a 450 acre ski and summer resort. The Sundance Resort has space for only 250 nightly guests in its 95 cabins. In addition to this, there are only 300 private homes in the area. The residences here vary from A-frame cabins to magnificent homes with beautiful interior finishes and fabulous views masked behind an unpretentious mountain contemporary exterior. It is the unpretentious nature of Sundance that makes it a truly special place. 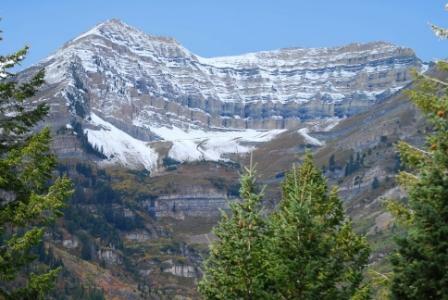 Sundance has great restaurants and spa amenities, but its beauty is natural and comes from its lack of development and awe inspiring views of Mt Timpanogos 12000 peak. The resorts environmental easements and wilderness area feel will keep it genuinely different from its nearby ski resort neighbors in Park City. The true scarcity, low-key feel and lack of mega-resort status make Sundance priceless in comparison to other resorts. For more on skiing at Sundance Resort, see the December 2008 edition of SKI or go to www.SkiNet.com. For information on Sundance estate opportunities including the home pictured above, go to www.YouInParkCity.com and www.2983RidgeTopRd.com. Posted in Uncategorized, buyers, Park City Skiing, sellers | 0 Responses to "Sundance Resort Living"
I was speaking with a fellow REALTOR® here in Park City last week and she stated that she was surprised that prices here in Park City and Deer Valley hadn't fallen as much as she had expected. While news articles from around the country show home values dropping as much as 30%, Park City hasn't seen very dramatic price changes. Many people ask "why?" Here are some of the contributing factors. The reasons vary somewhat according to the property involved; primary residences and second or vacation properties. In this article we'll focus on the latter. Second homes and vacation properties are a luxury item and they are bought by people that can afford them. As much as 70% of Park City and Deer Valley area property can be attributed to second homes and vacation property. The majority of these property owners have relatively small or no mortgages on these properties and most have an "if it doesn't sell at this price, I'll just hold onto it" attitude. Few of the second home owners have a true need to sell. In the sellers mind, the property is worth x' and in time it probably will be. Sellers here in Park City have "staying power" and while overall sales volumes are currently down 45%, prices are holding somewhat steady. Sellers are willing to wait, and Buyers are not necessarily willing to jump at prices that have held steady which leads to more property on the market. This Seller's resistance to drop their prices and ability to wait is a major reason that prices in resort towns don't fall as much as national averages in a down market. A driving force behind the national market downturn was the sub-prime and "risky" mortgages. Park City saw relatively few of these mortgages. It may seem odd from the outside, but few of the second homes with values over $1M have any mortgage debt at all. 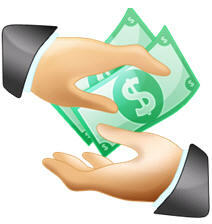 Historically, fifty percent of real estate purchases in Park City and Deer Valley are cash. In general even with as easy as credit was recently, it was still tougher to mortgage secondary homes as creditors know that if there is trouble, these are the first thing debtors walk away from. That is not to say that sub-prime mortgages in our market don't exist or that there are no property owners that are in financial trouble, only that this number is smaller in relation to the Nation's trouble spots. Another reason that Park City second home and vacation property values have stayed strong is that things the have not changed much here. People still want to be here, whether it is to vacation or to live. Park City is a beautiful, easily accessible. The city offers endless recreational opportunities and a great climate. 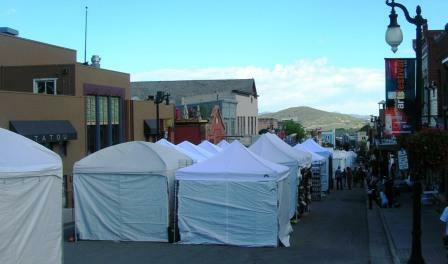 Park City's economy has not been greatly impacted by the national "crisis". In addition, the Utah economy has been touted as one of the best in the country. Finally, there is scarcity built into Park City. There are only so many places in the world that are like our city, and much of the town is truly "built out". These are some of the reasons that Park City has not seen a dramatic change in its prices as compared with other spots in the Country. That is not to say that prices in Deer Valley and Park City have not fallen; they have. As noted earlier, pricing remains fairly steady, but many of the properties that have sold were priced aggressively and represent pricing similar to 2005. There are good values and realty opportunities in Park City, and the situation for each seller is unique. Just don't expect to see rows of homes for sale with foreclosure signs in every other window as you search for a place to live or vacation in Park City. For more detailed information about recent price trends in Park City, Utah and Deer Valley, UT go to: http://www.youinparkcity.com/. Price trends, highs and lows, averages and days on market information is available for each Park City neighborhood. Posted in buyers, Park City Economy, sellers | 0 Responses to "Why Park City Prices Remain Strong"
Saturday Morning TV seems to be filled with shows o n HGTV and the DIY network among others that show people upgrading their homes followed by a Realtor telling them how much more it is worth. The country's present real estate market shows us that those upgrades may not all be good and definitely don't necessarily make you money in the end. This is not to say that something can't be bought at a great price have a few cosmetic upgrades done and be sold for a profit, but the days of the easy fix and flip may be gone. The Park City area, having a resort originally built in the 60's and 70's (not to mention miners shacks from the early 1900's), has some properties that are in need of a remodel. The majority of the guests coming here expect a world class resort and accommodations to match. Real estate buyers in Park City have come to expect granite countertops surrounding professional grade appliances, jetted tubs and travertine tile in bathrooms, LCD or Plasma screen TV's, hot tubs plus plenty of snow in the winter and sun in the summer. Maybe your Park City home or condominium doesn't currently have all this. Do you have to upgrade? If so, what should you do and how much should you spend? To answer these questions you really need to consider what end result you are trying to accomplish. Are you looking to sell soon? Are you looking for better rental revenue? Are you looking to just please yourself or spouse by making your place more comfortable? Do you just want to smile when you turn the corner and see your home come into view? Each of theses answers may lead to a different upgrade and investment in your property. If your intention is to fix up the property and sell it, consult your local Realtor about which project to tackle first and the resulting revenue difference it may make in the sales price of your home. Remember that the most important part will be to get people to come into your Park City house or condominium, so work on the outside "curb appeal" first (this is the first and last thing people see when they come to look at your property). 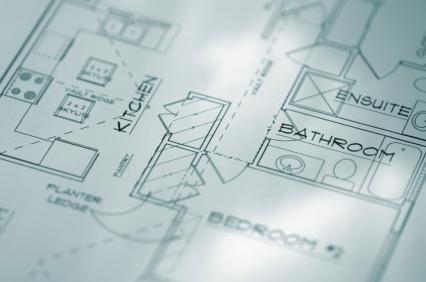 If your intention is to remodel the inside of your home, take a look at the cost of remodels and the average return on that investment in the Sellers section of our website. Remember why you are making an upgrade, if it brings you happiness while you are living in the home; consider that value in your return on investment calculation. Also, for those of you that plan to "do-it-yourself" note that it is never as easy as the ½ hour TV show would lead you to believe. Think about what type of person you are (are you a perfectionist or do you settle for adequate? ), make sure that you finish the project to the end and not just do "good enough" especially if your end wish is for better resale value. Posted in Uncategorized, sellers | 0 Responses to "Remodeling your Home to Sell"